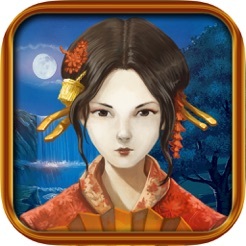 Travel to the Edo period in Japan and help Satsu and Miyamoto in an epic adventure to preserve ancient Japan. Prove your skills in Challenge mode with limited moves or relax, playing with unlimited modes. 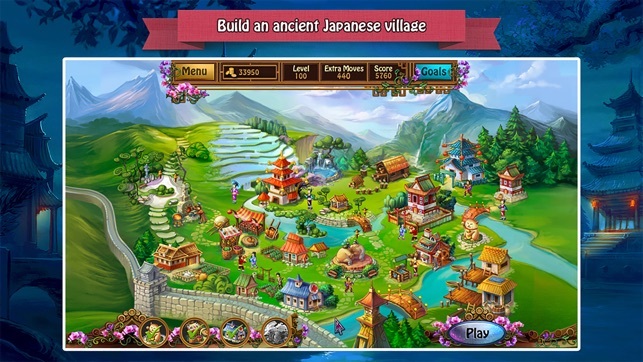 Experience the excitement of building an ancient Japanese village in this engaging Match 3 game. See the beautiful scenery while listening to relaxing music inspired by this period in Japanese history. 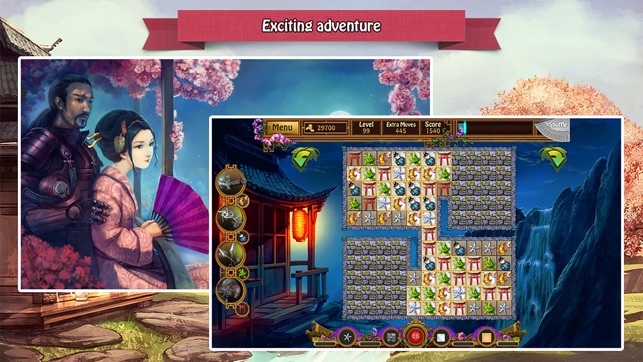 Dive into an epic story of honor and courage and help a Geisha and a Samurai save the day in Tales of the Orient: The Rising Sun! - Rebuild the ancient Japanese village. 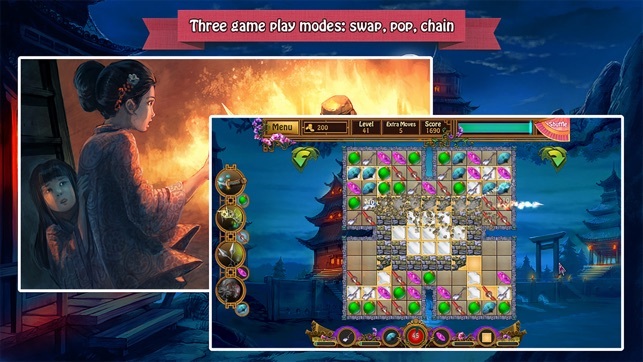 - Choose from 3 favorite game modes: Swap, Pop, or Chain. 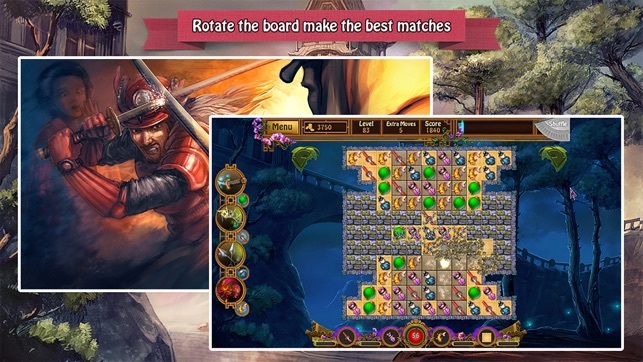 - Strategically rotate the board to move pieces and make matches. - Enjoy 100 unique levels of challenging gameplay. PLAY THE WHOLE GAME FOR FREE! SUPPORT US BY WATCHING ADS or BUYING THE IN-APP TO REMOVE THEM FOREVER! I am very impressed with this game. 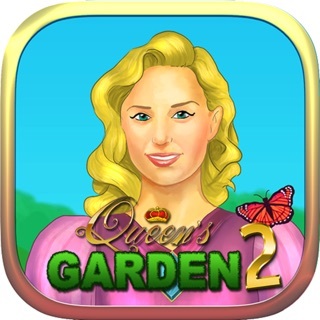 It is fun- has features I've not seen before and nice graphics. It allows you to turn the board to reach difficult places. I'm only on 15% complete but I had to stop and write a review. I will look for more games from this company!! Keep up the good work. This game is very similar to a game that I lost when I updated my IPad . It was “ Dreams of a Geisha “ . I can’t play that now but this one is just fine. Thank you .